A harsh, fierce story with a harsher, fiercer heroine; a murder mystery with many moments of visceral beauty and insight. Smilla, half Danish and half Greenlandic, refuses to accept the official version of how a child, her former friend, met his death. Her pursuit of the truth will take her through the bleaker wastes of human nature and her own heart. 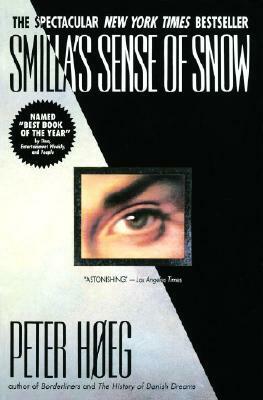 Peter Høeg is an internationally renowned Danish author who entered the North American literary scene with Smilla's Sense of Snow. Since its publication, Høeg's new works, such as The Woman and the Ape - have appeared in English translations alongside older works such as Tales of the Night. Once a sailor, and currently an actor and dancer as well as a writer, Høeg lives in Copenhagen.